The Scopesmith Blog — BACK FROM 2017 SHOT SHOW! NEW PRODUCTS! PRICE REDUCTIONS! BACK FROM 2017 SHOT SHOW! NEW PRODUCTS! PRICE REDUCTIONS! BACK FROM 2017 SHOT SHOW! NEW PRODUCTS! We are back from the 2017 SHOT SHOW. This year many of the new products are coming early to our store! A second major good news is that Swarovski and Schmidt and Bender reduced the price of many of its scopes! New Smith & Wesson M&P 2.0 Smith and Wesson made a great product even better by enhancing the trigger and ergonomics of the successful M&P line. Some models are already in the store! New SIG Sauer with Reflex sights. With the introduction of the SIG Optics line Sig Sauer will save customers money by provided some of the excellent pistols with Reflex Sights. The 226 is already in the store! Kimber Revolvers finally showing up! With the smallest cylinder capable of holding 6 rounds of .357 Magnum (also compatible with .38 Special), Kimber K6s compact revolvers are ideal for back-up, concealed carry and home defense. KALES SCOPES NOW DISTRIBUTED BY SWAROVSKI! 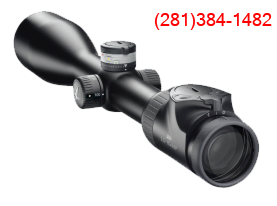 We are becoming Dealer of the excellent tactical scopes from Kahles now with the larger support and service for Swarovski! The will represent the tactical line for Swarovski with the 5-25×56 Front Focal Plane and the 1-6 Tactical offering . Kahles 5-25×56 can have the unique feature of LEFT HAND OPERATION (windage on the left) and are a must for left handed shooters! SWAROVSKI Binoculars!We decided for 2017 to carry in stock the complete line of Swarovski binoculars (second to none in glass quality, features and roughness)! SWAROVSKI AND SCHMIDT AND BENDER PRICE REDUCTION. Both companies announced reduced dealer and consumer prices in a large part of their product line (Z5, Z6 and X5 for Swarovski and PMII for S&B). We will be updating the prices in our website in the next week or so but all new prices apply right away (Please call 281-384-1482 if you want to confirm a price).